Dr. Chaim Nissel, Yeshiva University’s dean of students and an adjunct assistant instructor at Wurzweiler School of Social Work, led a two-day training from May 2 – 3 in Temple, Texas for mental health workers and clinicians from several counties in the state. Dr. Nissel was invited by the American Association of Suicidology to teach the 45 attendees how to best recognize and respond to suicide risk. 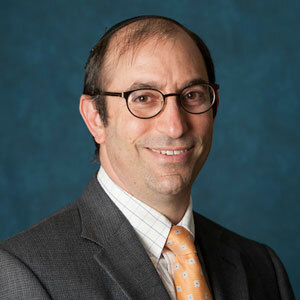 Earlier this year Dr. Nissel was a speaker at another event in Texas, the Jewish Federation of Greater Dallas’s “13 Reasons Why Not!” suicide prevention symposium, which convened in Dallas February 25. His presentation, “Keeping Families Safe,” addressed common myths about suicide, recognizing verbal and behavioral clues of suicide and strategies for responding to suicidal statements. “Because suicidal thinking is so prevalent, it has become exceptionally important to ensure that all clinicians are properly trained in this area. I enjoy helping clinicians master these skills and I know that their competence will save lives,” Dr. Nissel said.